After her maternal leave, Kareena Kapoor Khan is back to Bollywood with an elan! Her comeback film, Veere Di Wedding is being shot in Delhi and the actress has already completed her first schedule and was spotted returning from the capital on October 15, Sunday. The busy Jab We Met star was seen with her adorable son, Taimur Ali Khan who looked cute in a striped outfit. The stylish diva Kareena was spotted in a monochrome shirt tied at her waist along with black straight pants, black pumps and rectangular sunglasses. She paired the look with a classy black handbag and a long white sleeveless jacket and was seen waving and smiling for the cameras at the airport. 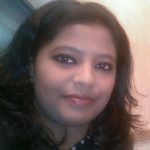 The sass and style with which she made her way at the airport could give a tough competition to all the stylish models and actresses. 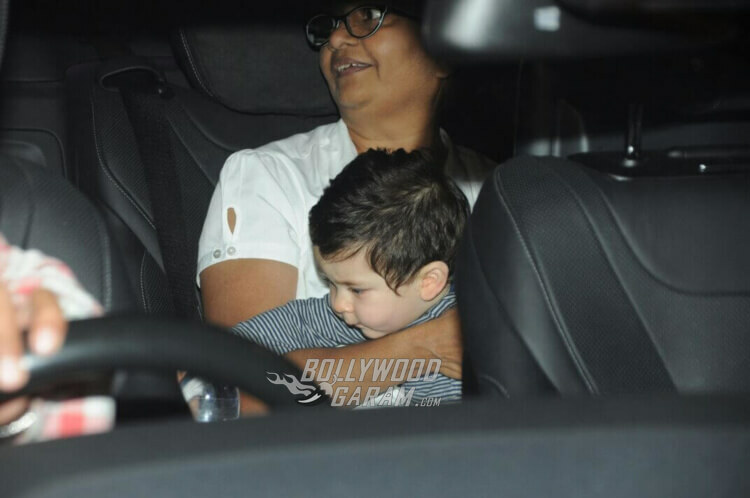 Taimur looked every bit the cute little not-too-keen with cameras boy wearing the striped onesie and was snapped inside the car with his nanny. Kareena’s upcoming film Veere Di Wedding will also star Sonam Kapoor and Swara Bhaskar in lead roles along with prominent web-series actor Sumeet Vyas and Shikha Talsania in a complete chick flick. The Udta Punjab star has also recently become the ambassador for Honeywell’s new range of air purifiers and is being snapped often at the airport as she is busy with her brand endorsements and at the beginning of this month walked the ramp for designer Raghavendra Rathore in his royal collection in Dubai, along with launching a new jewelry showroom for a well-known brand. Recently, Kareena also became the face of AND – popular Fashion Designer Anita Dongre’s brand for corporate wear. Exclusive photos of Kareena Kapoor and son Taimur Ali Khan at the airport!